Last month, Bitcoinist reported on Our Music Festival (OMF), a cryptocurrency music festival held in Berkeley at the end of October. 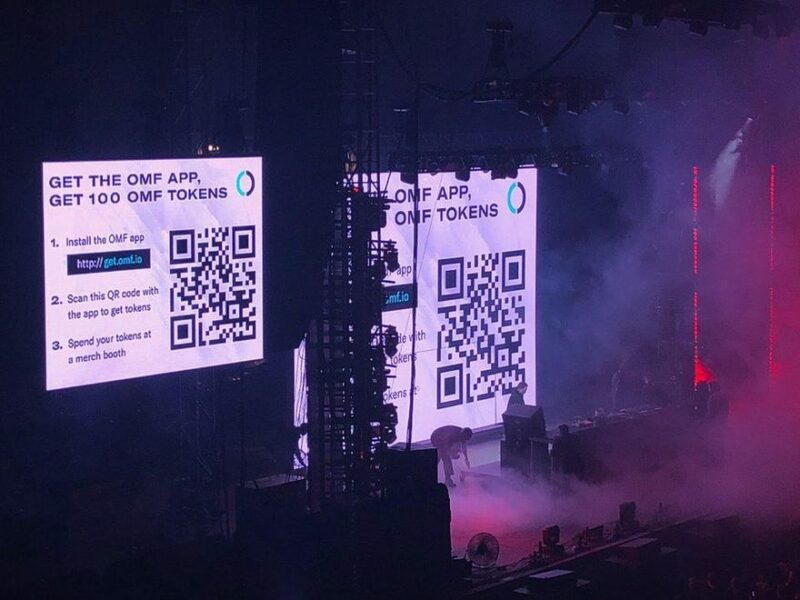 OMF’s crypto environment sets a precedent for future festivals like South by Southwest, which will host a series of crypto-related events and talks next year. The University of California at Berkeley served as the site of Our Music Festival (OMF) on October 20th. Berkeley’s Hearst Greek Theater — named after media magnate William Randolph Hearst — served as the stage for the event. The Greek Theater is a historic venue, having hosted a spectrum of names over the years from the Teddy Roosevelt to the Dalai Lama, the Grateful Dead to the Berkeley Jazz Festival. Why not add a crypto music festival to the list? By all accounts, the festival appears to have been a success. According to Zara Stone of Forbes, 8,000 people showed up to the Greek to take part in the collective crypto experience. Stone attended the festival, and she illustrates the kaleidoscopic scene at-length in her article. The line-up for OMF announced in early August included a Zedd headlining set, as well as sets from Big Sean, Matt and Kim, and Charlotte Lawrence. And we built one of the first consumer driven crypto mobile-apps with @go_interstellar to issue rewards to attendees with $XLM tokens! OMF is a unique case in the rich and often innovative history of the American music festival. However, a handful of festivals — like South by Southwest Festivals & Conferences (SXSW), a multimedia festival in Austin, Texas — have begun to incorporate crypto elements. Crypto motifs were even been spotted at this year’s Burning Man festival in the form of a Bitcoin (BTC) 00 sculpture protruding from a group of tables. Burning Man organizers even accepted bitcoin donations in 2014. Ironically, Burning Man’s intentional community is based entirely on a barter economy. Perhaps in the future, festival giants like Bonnaroo and Coachella will join the party. Until then OMF remains not just the first, but the only full-fledged crypto festival. The merging of crypto and festival culture tells a story about a shared set of values. Both cultures strive to rethink the status quo by introducing creative and experimental alternatives to traditional ways of doing things. These values are reflected in Berkeley’s Bay Area locale, which historically represents the birthplace of both large music festivals, and Silicon Valley tech culture — both rooted in the countercultural values of the 1960’s. There is no word yet on whether Our Music Festival will become a Bay Area fixture. Regardless, the event is bound to reshape the festival-going experience. What are your thoughts on Our Music Festival and the future of crypto in the festival scene? Don’t hesitate to let us know in the comments below! Images and media courtesy of Bitcoinist archives, Forbes, Shutterstock, Twitter (@OURMusicFest, @3LAU), Wikimedia Commons. The post Crypto Music Festivals Are Setting a Precedent for Future Gatherings appeared first on Bitcoinist.com. Next article Bitcoin Cash Technical Analysis: Finally, Some BCH Price Action!